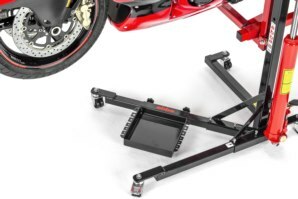 The Sky Lift Tool Tray is perfect for keeping all your tools, bike parts and even food & drinks close by when working on your bike. 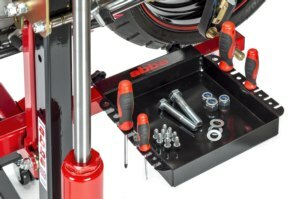 It's generous size and multiple tool holder positions allows you to keep everything in one neat place. 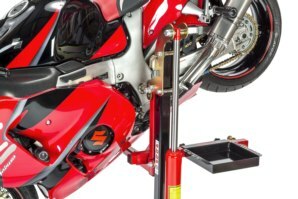 The Tool Tray can be fitted in many different positions all around the Sky Lift so it can always be close by when working on a particular area of the bike. 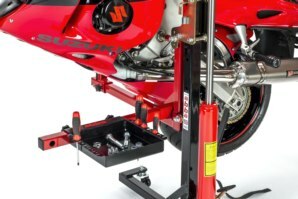 The tray simply locates onto the lift and can be held firmly in position by tightening the two thumb screws. 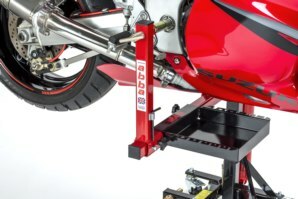 Note: Only Suitable for abba Sky Lift, click here for Superbike stand Tool Tray. No Tools included. 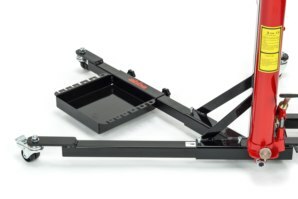 Large diameter tray, capable of holding even the largest of hand tools. 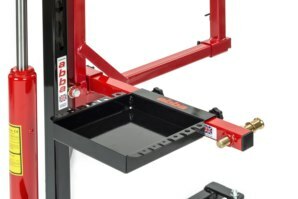 What is the size dimensions of the Sky Lift Tool Try? 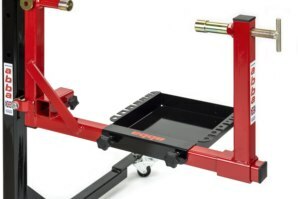 The inside tray dimensions are 235mm x 245mm & 40mm deep. 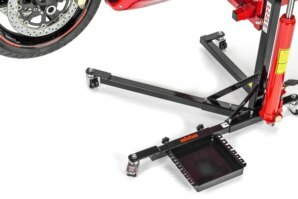 Got a Question about the abba Sky Lift Tool Tray? 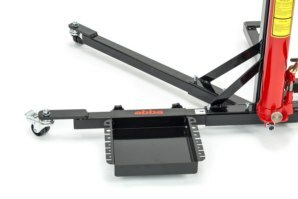 If you would like to ask us a question about the abba Sky Lift Tool Tray, simply fill in the form below and we will contact you within two working days. 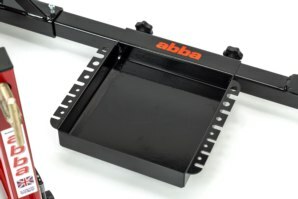 Want to tell a friend about the abba Sky Lift Tool Tray? 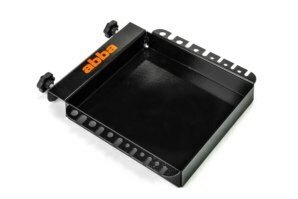 Alternatively fill in the form below and we will send an email on your behalf to your friend, with a link to this page all about the abba Sky Lift Tool Tray.